Although the field of Neuro-Oncology has grown considerably in the last 10 to 15 years and has a rather extensive literature, there are no comprehensive, “single-source” books that summarize the current literature and future trends of neuroimaging in neuro-oncology. This book covers this topic in more comprehensive fashion, making it an important addition to the armamentarium of physicians that care for patients with brain tumors and other neuro-oncological disorders. Well-founded in basic science, it includes chapters that provide an overview of relevant background material in critical areas such as physics, contrast agents, ultra-high field brain MRI, and molecular imaging. Neurosurgeons, neuro-oncologists, neuroradiologists, oncologists, neurologists, and researchers (within oncology and radiology) with an interest in neuroimaging and neuro-oncology. Overview of Brain Tumor Epidemiology. Overview of Pathology and Treatment of Primary Brain Tumors. Overview of Pathology and Treatment of Metastatic Brain Tumors. Overview of Spinal Cord Tumor Epidemiology. Overview of Pathology and Treatment of Primary Spinal Cord Tumors. Overview of Pathology and Treatment of Intramedullary Spinal Cord Metastases. Epidural Spinal Cord Compression in Adult Neoplasms. Neoplastic Meningitis. Vascular Disorders: Epidemiology. CNS Hemorrhage. CNS Infarction. Veno-Occlusive Disease. Paraneoplastic Syndromes. Brachial and Lumbosacral Plexopathy. Neurological Complications of Oncological Therapy. Physics of CT: Scanning. Physics of CT: Scanning. Introductory MRI Physics. Advanced MRI Physics. Contrast Agents in Neuroradiological MRI: Current Status. Ultra-High Field MRI: Image Acquisition. Ultra-High Field MRI: fMRI, MRS and other applications. Malignant Astrocytomas. Low Grade Astrocytomas. Oligodendrogliomas. Primary CNS Lymphoma. Pituitary and Sellar region Lesions. Meningeal tumors. Intracranial Schwannomas. Diencephalic and other deep tumors. Neuronal tumors. Pineal region tumors. Chordomas and skull base tumor. Pediatric brain tumors. Intracranial Metastases. Non-Neoplastic mass lesions of the CNS. Neuroimaging Issues in Assessing Response to Brain Tumor Therapy. Pitfalls in the neuroimaging of BTs. Neuroradiology of Leptomeningeal Metastases. Imaging of Epidural Spinal Cord Compression. Brachial and Lumbosacral Plexopathy Imaging. Imaging of Peripheral Neurogenic Tumors. Neuro-Imaging of Cerebrovascular Complications in Cancer Patients. Paraneoplastic Syndromes. Dr. Newton is currently the Director of the Neuro-Oncology Center and CNS Oncology Program at the Florida Hospital Cancer Institute and Florida Hospital Orlando. He recently retired as a Professor of Neurology, Neurosurgery, and Oncology at the Wexner Medical Center at Ohio State University and the James Cancer Hospital, and was the holder of the Esther Dardinger Endowed Chair in Neuro-Oncology. 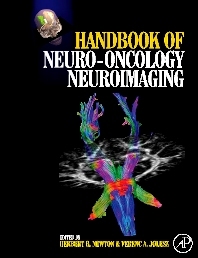 He trained in Neuro-Oncology with Drs. Jerome Posner and William Shapiro at Memorial Sloan-Kettering Cancer Center in New York City, and since then had been in academic Neuro-Oncology for over 25 years – until his retirement. He has published more than 220 peer-reviewed articles and book chapters, and is the Chief Editor or Co-Editor of nine textbooks in the field of Neurology and Neuro-Oncology. In addition, he has been listed as a Best Doctor (Neurology) and Top Doctor for Cancer (Neuro-Oncology) for the past 18 years.